Grocery shopping is a chore. Every time I head out with my list I lament the tedious steps of the process: 1) Choose your item from the shelf and put it into the cart. 2) Put them on the checkout belt and into a bag. 3) Lug the bags to the car and then into the kitchen. 4) Put all those items away. 5) Pull them all back out again to cook your meal. So when my best friend started ordering Home Chef meals, I was curious. The company delivers ingredients for delicious dinners right to your door, no trips to the store required. 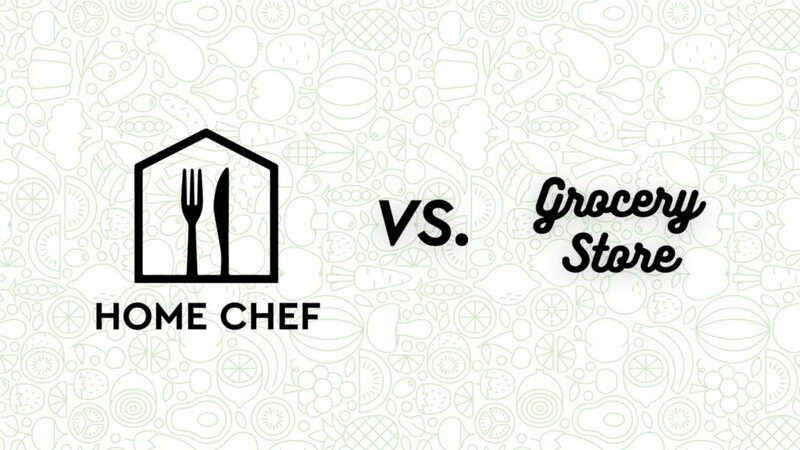 I wanted to test it out for myself so I ordered a box and set out in comparing Home Chef against the grocery store in three important areas: expense, prep time and food waste. A cost comparison between Home Chef and the grocery store rendered surprising results: I spent $17.80 more at the grocery store to buy the exact same ingredients that Home Chef delivered to me for free. All in all, my trip to the grocery store took 64 minutes. In the same time, Home Chef delivered all the ingredients I needed to my door, and I didn’t even have to lift a finger. Even the joy I get from grocery shopping can’t compare to the pleasure I derive from regaining an hour of my life. I also saved an additional 30 minutes normally spent recipe planning, since picking my Home Chef meals takes less than five minutes. Finally, food waste. Home Chef sends the ingredients you need perfectly portioned for each recipe which prevents excessive food waste. I didn’t quite use all of the eggs, flour or breadcrumbs they sent in my box, but that’s nothing compared to the long list of extra ingredients I bought at the grocery store. When I went shopping, over-purchasing was unavoidable. I needed two burger buns, but the smallest package had six. I needed to sprinkle half an ounce of slivered almonds on the salad but could only buy an eight ounce bag. In the end, I only used up seven of the 27 ingredients I purchased. Sure, I may use some of these items in a future meal, but fresh ingredients like produce, cream and eggs will likely go bad before I have the chance to reuse them. My experiment shows that Home Chef wins out in every category. Not to mention the meals are delicious and can easily be adjusted to meet any dietary restrictions. So even for those who love grocery shopping as much as I do, it’s time to ditch the habit and go for delivery. Personalize your first box here and try a more affordable, faster and less wasteful life with Home Chef. All images by Antonio Manaligod for OMGFacts.